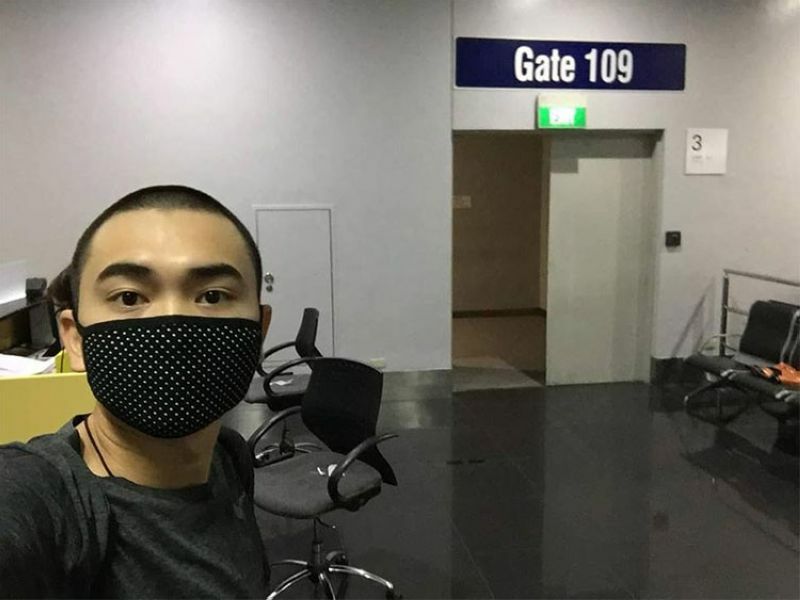 THE Bureau of Immigration (BI) is studying possible actions against businessman Xian Gaza for allegedly mocking its system after he allegedly left the country despite having three arrest warrants. In a Facebook post on Sunday, April 7, Gaza, who earlier went viral online after asking actress Erich Gonzales for a coffee date via billboard and due to his involvement in several investment scams, detailed how he was able to fly out of the country on September 30, despite having arrest warrants. Gaza said he booked three tickets, one for Hong Kong, one for Taipei and another for Singapore, which were both decoy flights. He said the most crucial part was when he passed through the immigration officer and he was informed that he has arrest warrants but still managed to get through since there is no hold departure order against him. “Okay na lusot na nakaupo na nga. Putek biglang may dumating na airport police at uniformed PNP! Pinapa-page sa mga cabin crew yung pangalan ko to check if I'm on board! Tanqinyeam gravity mukhang mapupurnada pa at makukulong ng 5 years ang Kuya mo Xian! Tayo agad ako pucha! Deretso sa toilet sabay lock ng pinto. Hindi ko na nakayanan at tumulo na ang luha ko sa loob. Grabe ang dasal ko as in while panic attack,” said Gaza. “Nung narinig ko na sa cabin crew yung salitang 'cross-check' eh doon na ko nakahinga. Alam ko na that time na wala na lahat ng ground personnel at sarado na ang mga pinto ng aircraft. Thank you Lord! Wooh! Remember my 2 decoy flights bound to SG and Taipei? For sure, eh doon na sila sumunod nagpunta at naghanap dahil positive ang name ko on both passenger manifests. I strategically booked my HK flight ahead of time sa dalawa for that very purpose. Advance ako mag-isip,” he added. In a statement, BI spokesperson Dana Sandoval belied Gaza’s "story." “His story sounds like it was taken straight out of an action movie... He said it so himself, his story is based on what happened, but sadly it’s not what actually happened,” she said. Sandoval said if a person has a hit in the BI’s derogatory database, such as an existing hold departure order (HDO) or warrant of arrest, they will immediately be barred from flying out. For Gaza’s case, when he left, Sandoval said he was cleared that is why he was allowed to leave. “The story is preposterous, similar to other claims he made in the past. If you know regular airport procedures, his story sounds silly. Ang daming loopholes. Booking numerous flights will not help evade police. Everything is recorded in our systems, with one click, you’ll know which flight a person really took,” she said. “Since he had no derogatory record when he left, he was cleared for departure. It was quite uneventful and ordinary, really. No Hollywood-level storyline, just regular immigration clearance... Stunts like this using the Bureau to gain fame and stay relevant are a security risk. He is making a mockery of our airport procedures for attention,” she added.